FPV flying or first-person view flying is a game changer. Before FPV was available, drone pilots were limited to flying their drone using ground vision. This is also referred to as line of sight (LOS) flying. Having to maintain a direct line of visual sight on your craft is incredible limiting. With FPV, drone range is significantly improved. [sic] before. I have seen drones flying up to 1 km and 10 km in distance. Flying with FPV allows for better and more exact flying in the most difficult of terrains such as forests, mountains and inside buildings. So how does FPV flying work? Using FPV ground station equipment, FPV transmitters and cameras, drone pilots can now pilot their drones as if they were inside them. Live video from the front of the craft is transmitted back down to a display the pilot can see, in some cases pilots can even wear specialized goggles to see the video feed. Consider how limited drone use would be without FPV? 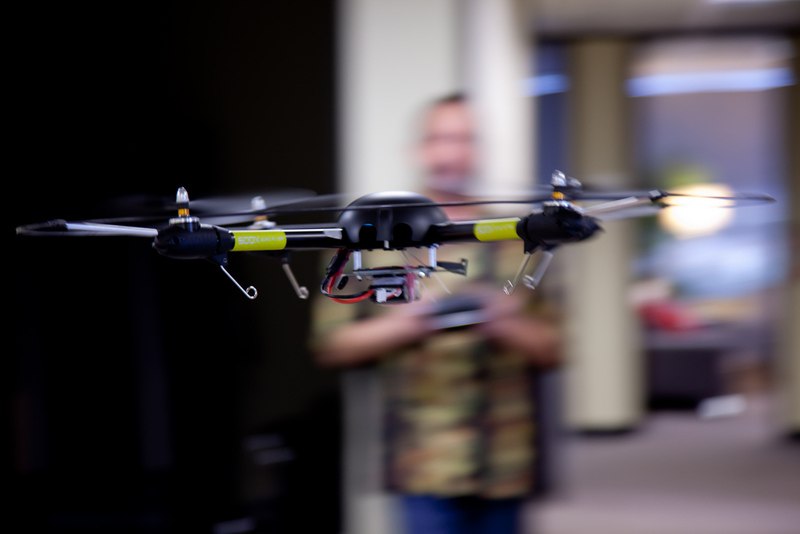 Could drones complete aerial building inspections? Could drones effectively be used for search and rescue missions? Thanks to FPV technology new uses for drones are announced practically every day. Depending upon the drone you use, FPV flying may need to be a learned skill. Some FPV drones require 2 ground station controllers, one to control the drone and the other to view the video feed. Others like the Parrot AR drone use a single controller (your tablet or phone). Regardless of which style of FPV drone you use, FPV flying for long periods of time can make you feel sick.